Stimulate your senses. The ultimate experience in Incredible India.. Experience the history of massive forts, the opulence and splendour of Rajasthan’s palaces, the bustle and buzz of markets and bazaars on an 8 Night Exotic India tour of the fascinating cities of Delhi, Jaipur, Agra and Varanasi. This is a private guided tour through a land full of contrasts. Experience unforgettable highlights of Exotic India. Discover mystical charms, fascinating architecture, and electrifying cities on your customized, guided tour. Stroll through the exuberant alleyways of Old Delhi and see the magnificent Jamia Masjid. Sit and stare at the iconic Taj Mahal and admire its intricate carvings and learn its romantic history. Visit Jaipur, the gem of Rajasthan, and admire the pink sandstone ‘Palace of Winds’, a breathtaking palace of superb Rajput and Mughal architecture. Enjoy your own Private experience on an 8 Night private guided tour of the fascinating cities of Delhi, Jaipur, Agra & Varanasi. Winding through the streets and popping out onto the riverside will give you an insider’s look at the symbiotic life of the riverside people of Varanasi. Eventually, as you tour through the city you will end up on Bengali Tola, the street of the Bengalis, where you will be visiting the hidden Mother Goddess Kali shrines, and the vistas of life along the riverside. The magnificent Amber Fort was built in 1592, and remained the citadel of the rulers right until they moved their capital to Jaipur in 1727. Maharaja Man Singh I created this imposing monument on the remains of an ancient 11th century fort. Since the first half of the 18th century, the City Palace has been the abode to the rulers of Jaipur. The sprawling expanse of the breathtaking palace is a superb harmony of Rajput and Mughal architecture. Part of the palace has been converted into a museum, open to the public, while a section – Chandra Mahal – still remains the home of today’s maharaja. The city of New Delhi was designed in typical British colonial style, with tree-lined avenues and colonial bungalows. Visit the Red Fort which was the palace for Mughal Emperor Shah Jahan’s new capital, Shahjahanabad, when he moved his capital from Agra to bring prestige to his reign. Its wall is 1.5 miles long, and varies in height from 60 to 110 feet. At 72.5 meters, the Qutab Minar is the tallest brick minaret in the world. India’s iconic national landmark, the Taj Mahal, impresses millions of visitors every year. According to The History Channel, around 3 million people travel to see the Taj Mahal annually. Up to 45,000 visitors can show up in a single day during peak travel seasons, yet few people know much about this incredible structure, and the legends that surround it. All four sides of the Taj Mahal are completely identical. In fact, the exterior and interior of the structure are completely symmetrical, according to National Geographic. Every spire, wall and window has a mirrored equivalent opposite to it. That is, except for the tomb of Shah Jahan, the emperor who requested the construction of the Taj Mahal. Jahan was buried next to his late wife Mumtaz Mahal. The Taj Mahal was originally constructed for her. The tomb was built long after the Taj Mahal was finished and is the only structure that breaks the symmetry of the building. Some believe this may be a sign that Emperor Shah Jahan may have had other plans for his burial. Learn more about The Taj Mahal on your tour in Agra. You will be met on arrival Delhi Airport and transfer to your hotel in a private vehicle, with an English-speaking driver-guide. Spend the day on a privately guided full day tour of Old and New Delhi which boasts spectacular monuments and holy sites. This tour takes you to the famous Gate of India, which is a 42-meter high War Memorial Arch. On route you drive past the Parliament House and the Vice Regal Palace that is now the official residence of the President of India. Visit the Red Fort which was the palace for Mughal Emperor Shah Jahan’s new capital, Shahjahanabad, when he moved his capital from Agra to bring prestige to his reign. Surrounding the building are many fine examples of Indian artwork dating back to 1193. Afterwards view the Humayun’s tomb, which is a complex of buildings of Mughal architecture dating to the Slave Dynasty (1268-1287 AD). The complex is a World Heritage Site and the first example of this type of Mughal architecture in India. Spend the day today in the company of an English speaking guide as you tour the Amber Fort and City Palace of Jaipur.Since the first half of the 18th century, the City Palace has been the abode to the rulers of Jaipur. 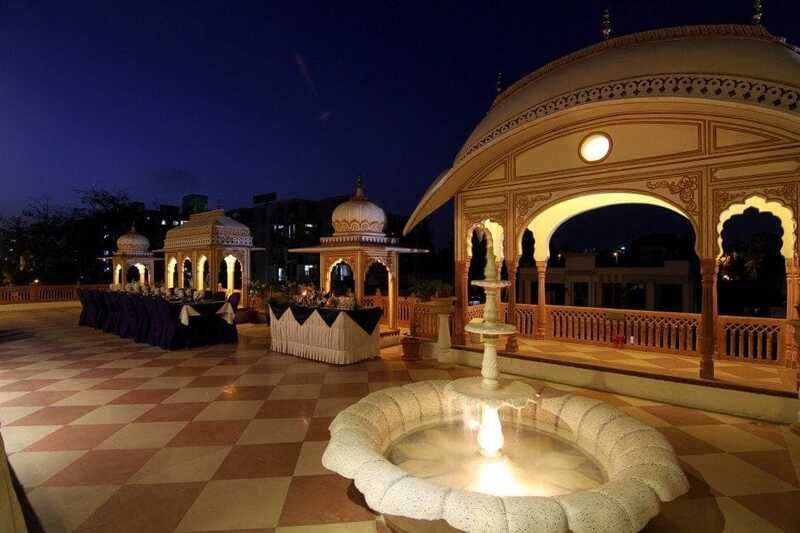 The sprawling expanse of the breathtaking palace is a superb harmony of Rajput and Mughal architecture. Part of the palace has been converted into a museum, open to the public, while a section – Chandra Mahal – still remains the home of today’s maharaja. Built in 1799, the whimsical Hawa Mahal – Palace of Winds – which adjoins the Palace has become quite the city icon. An optional elephant ride is available. Today your guide will pick you up from your hotel for a private tour of Taj Mahal, the most beautiful monument built by the Mughals, the Muslim rulers of India. Its stunning architectural beauty is beyond adequate description, particularly at dawn and sunset. It was built by Emperor Shah Jahan in the memory of his wife and queen Mumtaz Mahal. Also visit Agra Fort, built of red sandstone and marble. This great monument of red sandstone dominating a bend in the river Yamuna, two kilometers northwest of Taj Mahal was constructed by the Mughals during 1565-1571. On arrival Delhi you will transfer to the airport for your flight to Varanasi. The flight duration is approximately 90 minutes. You will be met on arrival and transfer to your hotel. Collection from your hotel by your driver-guide. Enjoy an Aarti Ceremony – a Hindu ritual where light or fire is offered to the deities. This evening Aarti Ceremony is an absolutely wonderful sight from the Ganges River and includes a boat ride to experience the magical ceremony from the water. Enjoy a town tour of Varanasi. The tour continues to the historic ritual bathing site called Dashaswamedh, or the ten-horse sacrifice Ghat, the perfect way to conclude this walking city tour.This experience is expected to last approximately 4 hours including travel time. Glide along the famous and holy Ganges waterway in a private boat accompanied by an expert guide. The Ganga Ghats at Varanasi attract tourists and pilgrims of all ages for the opportunity to take a dip in the holy Ganges, which is believed to absolve one’s sins. From your hotel, a private vehicle, with driver, and English speaking guide, will transfer you to the airport for your flight. Enjoy your flight from Varanasi to Delhi today. The flight duration is approximately 90 minutes. On arrival Delhi proceed with your onward flight. The Claridges is an iconic hotel superbly located near the New Delhi Train Station, domestic airport and the international airport. The Hotel is a perfect blend of old world elegance and contemporary luxury, with the Capital’s bustling commercial and cultural centres just a few steps away. Accommodation:Air-conditioned rooms with free WiFi include a seating area with an LCD satellite TV and modern furnishings. Total Number of Rooms: 137 rooms ranging from Deluxe rooms to Superior Suites with their own private terraces. Services and Facilities:temperature controlled swimming pool – Gym – Sauna – internet – tea and coffee making facilities – 24 hr room service – 4 Restaurants – 2 Bars – Business Centre – Spa – Doctor-on-call – shops. Positioned within walking distance of the Taj Mahal, the Radisson Blu Hotel Agra boasts an ideal location near the iconic monument. The hotel is 35 minutes from Kheria Airport, 15 minutes from the railway station and three hours from New Delhi, making it easy to explore all that this beautiful area has to offer. Accommodation:All of the 142 rooms and suites are unique, contemporary and comfortable. Services and Facilities: internet – 24 hr room service – 3 Restaurants – Spa – 2 Restaurants – 3 Bars – Fitness Centre – Business Centre – Swimming Pool. The Shahpura House is built in traditional Rajput style featuring a mixture of Mughal and Indian architecture creating a facade with domes and frescoes.The hotel was once the place for the Shekhawat clan of Rajput who lived here.The family portraits add to the charm of this family hotel where tradition still runs strong. Accommodation:All of the 38 rooms at Shahpura House are unique; luxurious and beautiful, yet equipped with the most modern facilities to make a guest feel utterly at home. Each room is embellished with marble and semi-precious stones accompanying marble bathrooms and private verandahs and lobbies. Situated within 15 minutes drive from the sacred Manikarnika Ghat, Rivatas By Ideal is a 4 star hotel, offering best-in-class comfort and luxury to guests. Explore the famous site of Sarnath – the place where Buddha delivered his first sermon, which can be reached in only about 15 minutes drive from here. Accommodation:The 68 luxuriously furnished and air-conditioned rooms are a combination of Deluxe Rooms, Executive Suites and Deluxe Suites.